The Toshiba Portégé Z830-104 is an ultraportable for the travelling professional who needs their laptop lightweight and practical rather than attractive. It might look plain but it has plenty to offer if you need portage. It's a tad on the pricey side for the package on offer. Ultrabooks are still imperfect machines, but the Portege Z830 really strives to be as less mediocre as possible. With a backlit keyboard, ultra slim body and impressive selection of ports, the Z830 is one of the best equipped ultrabooks out there. Sure, it doesn’t have the best hardware from the lot, but will still deliver a solid experience, while the battery life is nothing short of satisfying. 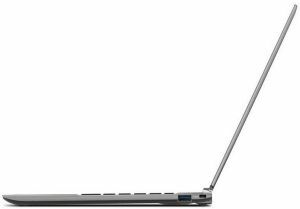 Although it has several unique features that are sorely missing in Ultrabooks from other manufacturers, the Z830 isn’t head and shoulders above its competition. No other manufacturer has managed to perfect the formula so far, but they all have selling points that make them more desirable than the Toshiba. If you're not beholden to Windows, the 13in MacBook Air, which is available with a similar specification to the Z830 at a similar price, is still our preferred ultra-portable laptop, but Ultrabooks are slowly catching up. Toshiba's Portégé Z830 is not the first ultrabook to ship, but it's the best suited for business use that we've seen so far. It packs an impressive amount of power into a very slim and light design, but potential buyers should take the all-day battery life claims with a pinch of salt. 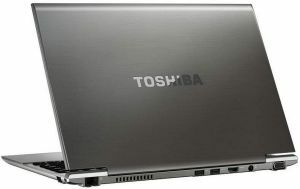 As a business proposition, however, the Toshiba Portégé Z830 is entirely convincing. 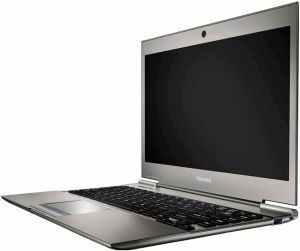 Toshiba has crammed great performance, comfortable ergonomics and convincing battery life into a chassis that weighs barely more than kilogram, and has also managed to shoehorn in all the ports, security and manageability features required of a true business laptop. 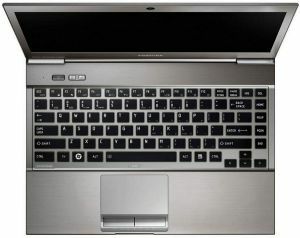 It might be early days for the Ultrabook, but, on this showing, the Portégé Z830 has a bright future in big business.